If you were lucky enough to be one of the first 100 guests in attendance, we were giving out some limited edition BBJ Crossover canvas totes with lots of goodies inside. Overall, the atmosphere was very positive and it lasted throughout the night where the celebration continued at the Blu Monkey in Hollywood. 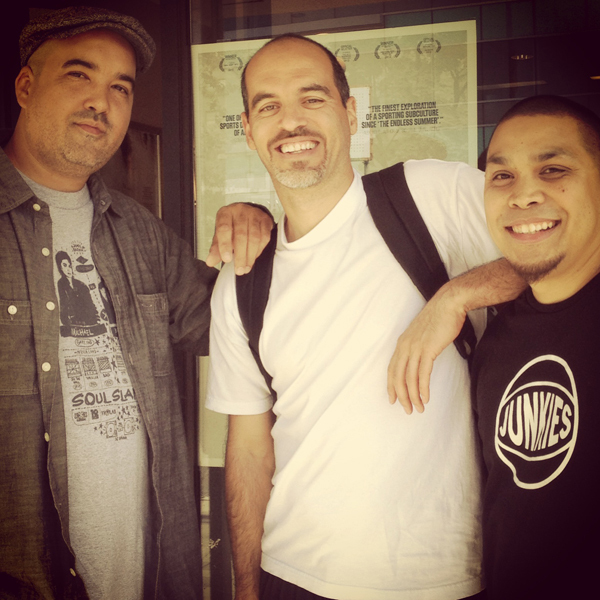 Not only did LA get to see a great film, but we also got a chance to participate in a Q+A / Meet & Greet with Bobbito, then hang out and listen to my dude rock an after party as a special guest alongside DJ Jedi, Al Jackson and DJ Rome. The only thing we were missing was a quick 5-on-5 at an outdoor court with Kevin Couliau in attendance – but we can always do that next time! Some special guests in attendance – Mayda Del Valle and Beat Freaks/Rock Steady Crew members (Bonita Lovett @bgirlbonita & @orianna_feenx). 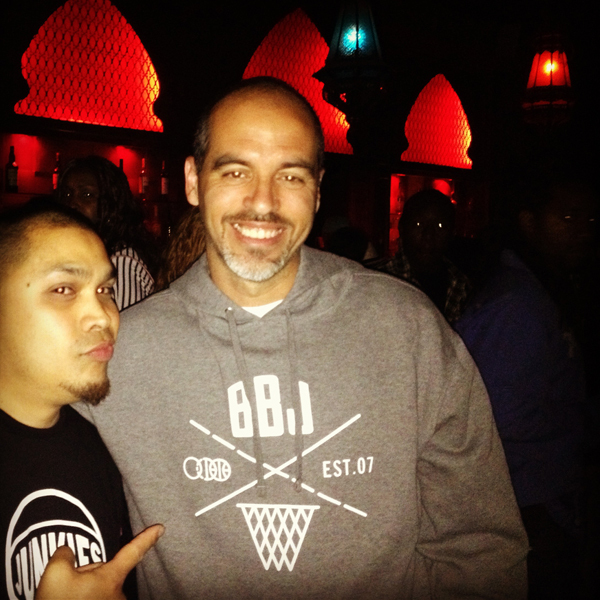 My brotha Asad (Footlong Development) and my dude Bobbito Garcia. 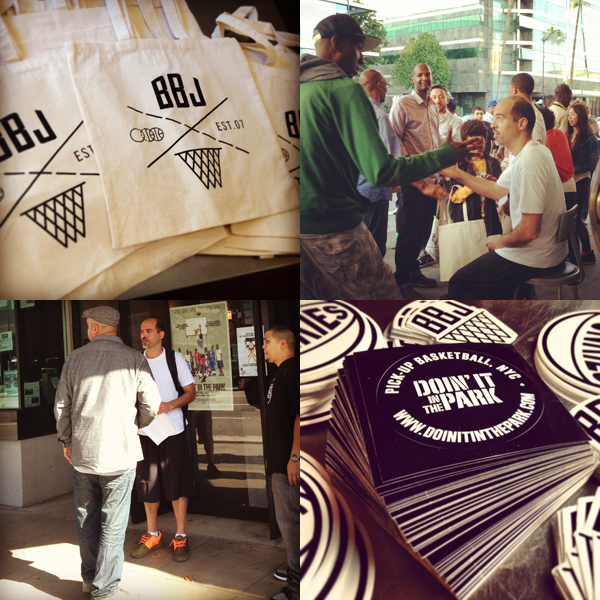 Limited Edition BBJ Crossover Canvas Totes x Sticker Packs and more photos of the Meet & Greet session. 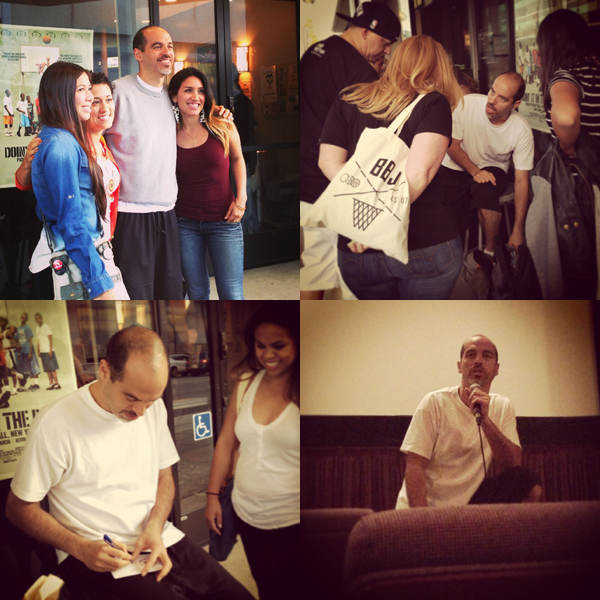 So if you haven’t had the opportunity to attend one of the SCREENINGS, go to the website and pick up the digital copy of the film on www.doinitinthepark.com – you won’t be disappointed!! 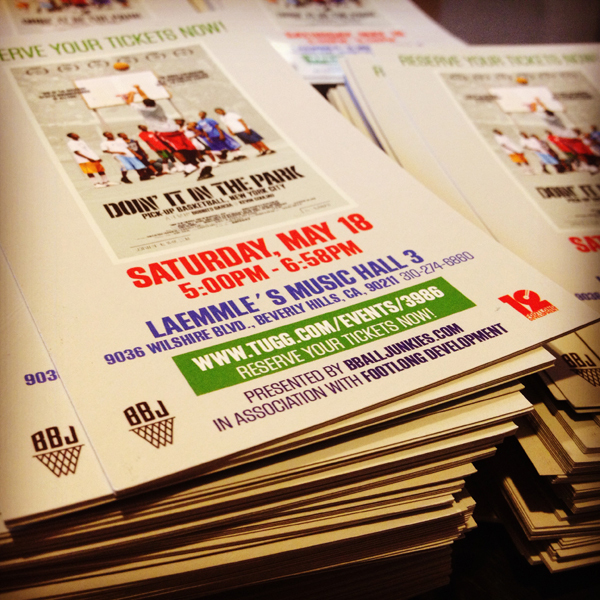 Or better yet, host one of your own screening through www.tugg.com. Here’s the trailer for the film if you haven’t seen it already. This entry was posted by rob-one in Basketball, Bball Junkies, Doin' It In The Park, Footlong Development.